Avaaz - Mark Zuckerberg: Fix Facebook! As global citizens, we call on you to immediately set up effective global systems to delete fake accounts, identify and take down hateful or false content fast, and prioritise content from trustworthy sources. Facebook is undermining our democracies. It’s up to you to stop this danger. We've never seen anything like this before. Governments and corporations have created armies of realistic but fake accounts on Facebook to spread vast amounts of hateful fake news to billions of people. The Russians alone reached TWO HUNDRED MILLION Americans in 2016 to help elect Trump! The result is political insanity. And the problem is global. Facebook could fix all this in a heartbeat just by enforcing their own user policy and banning all fake accounts. But fake users earn the site real money. 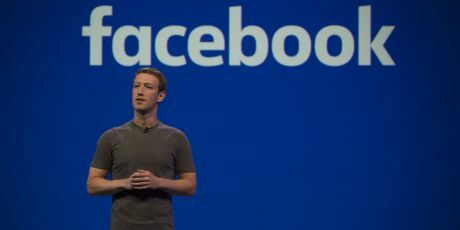 CEO Mark Zuckerberg just said his New Year's resolution is to make Facebook better, but it’s just vague talk. With major elections this year, we need action now. Let's build a massive petition and dog Zuckerberg every day in billboards on his way to work, outside his office, and on local TV, calling on him to urgently FIX FACEBOOK.